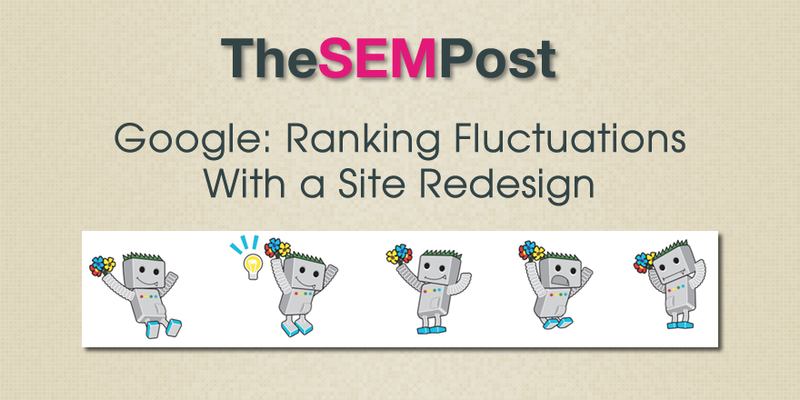 When you launch a new redesign of a site, some site owners are still surprised when they launch a fancy new site design – even when the URLs remain the same – and see their rankings change. At Brighton SEO, as part of a larger conversation about HTTP to HTTPS site migrations, Gary Illyes from Google commented that he can “almost guarantee” that any site redesign will have ranking fluctuations. When you redesign a site, even when the main content of the content is the same, there are other changes on page that can affect rankings on the site, such as navigational links placing more or less emphasis on some internal pages, and even minor things that tend to be missed in redesigns, such as legacy redirects, alt text and image related issues. Also, with a site redesign, Google needs to relearn the boilerplate content on the page that they ignore for ranking purposes, things such as the footer content that isn’t generally relevant to the page and what it should rank for. And of course, any redesign that involves a new URL structure will also see major fluctuations as Google crawls and indexes the new URLs and matches them with the old URLs that have been 301 redirected.